"...there were never such devoted sisters." 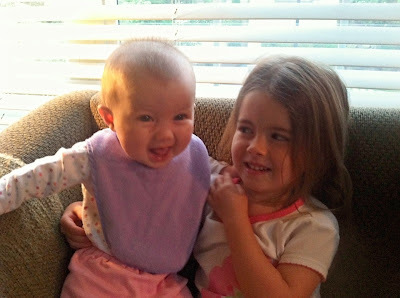 Two little girls. Sisters. Friends forever. This was my dream come true. With both pregnancies, we opted to be surprised by the gender. The guessing game was fun for us. The anticipation of the surprise at the end was even more fun. When I was pregnant with Vienne, I secretly hoped it was a girl. I did not have an inclination either way...just a hope. She was definitely more than everything I ever imagined a little girl could be. Then, when I was pregnant with Ivy, I found myself, to my surprise, hoping again for another girl. I wanted sisters. I wanted a friend for Vienne like I have in my sister. Again, I had no inclination either way. But Vienne did. She knew we were having a girl. Unquestionably. I love how most little kids' intuitions turn out to be accurate. 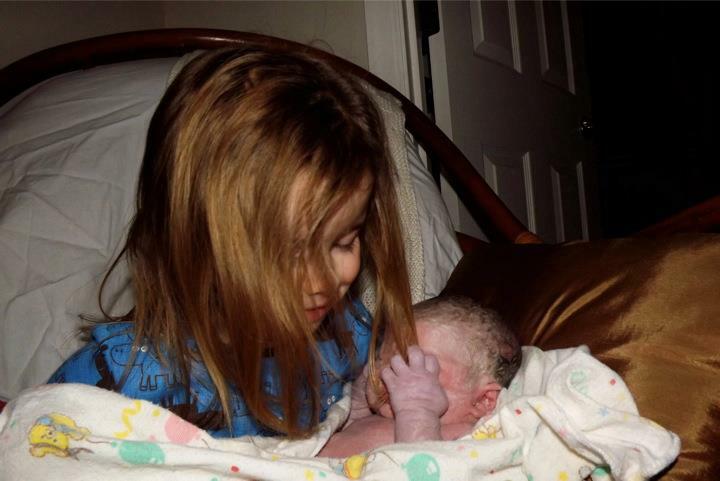 It was absolutely no surprise to her that I had birthed a little sister for her. 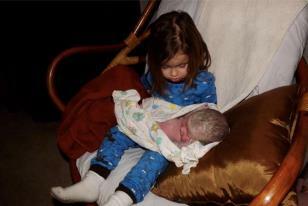 Oh and she was soooo ready to be a big sister. 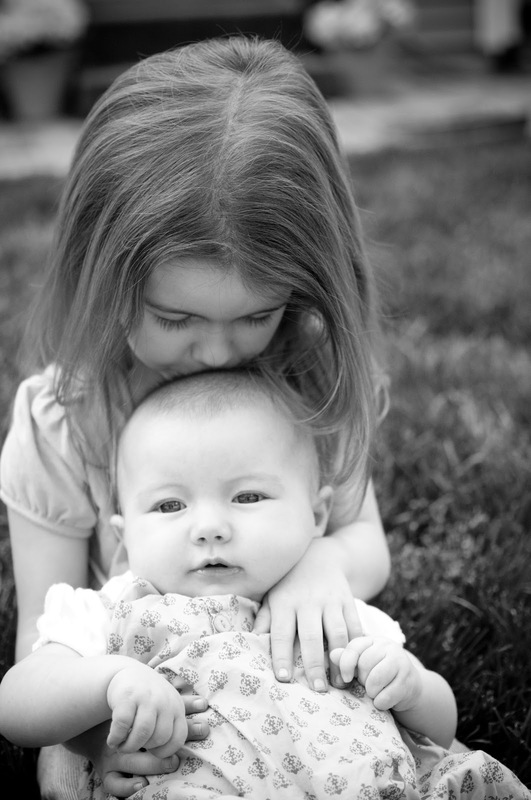 If there was ever a perfect big sister, you know Vienne was it. 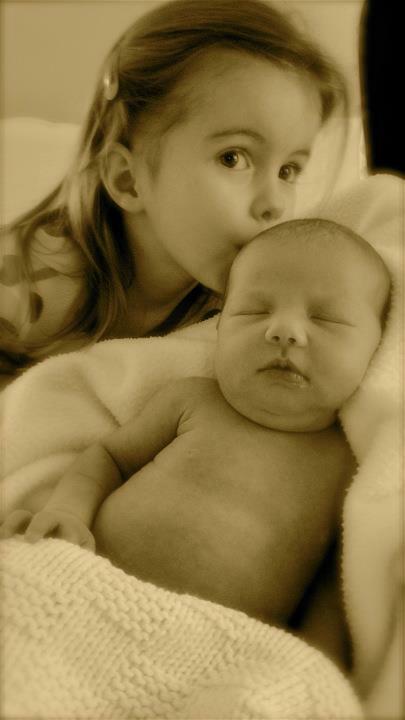 I have the sweetest memories of Vienne on the day that Ivy was born. As I've mentioned before, I birth my babies at home, by much thought out and researched choice. I had taught Vienne about how the birth process happens. 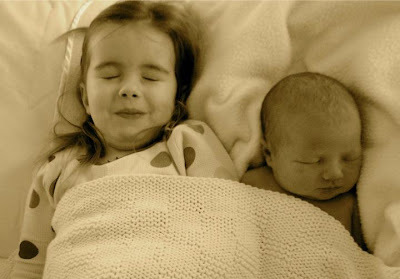 Throughout my pregnancy, I had a wish that Vienne would be awake and present at the birth. She was old enough and mature enough to be a witness. I remember that I went into labor with Ivy at 2:30am. 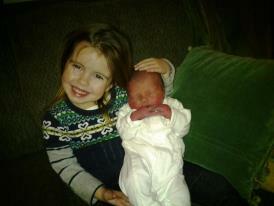 It was a short 5 hour labor (yes, I have it easy when it comes to birthing). Around 5am, Vienne must've just sensed something going on downstairs and woke. 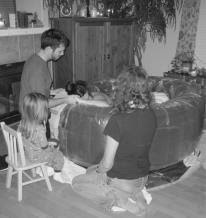 My mom wasn't there yet to watch over V, so Mark kept her by his side, at the edge of the birthing pool. My precious big girl, quietly stood by his side, in awe and excitement, and helped brush my hair with her gentle and precious fingers. She also sweetly fed me ice chips, all while whispering beautiful encouragements to me..."you're doing a good job, mama." *tears* Thankfully, I am not a screamer but I did moan...and nothing scared or phased her one bit. When it came time for Ivy to come out, all I remember hearing in the background was Vienne's excited anticipatory laughter and clapping. And, when Ivy came out and was placed on my chest, Vienne was immediately behind me reaching her hand out to touch her beautiful, yet slimy, little sister. The picture we have of Vienne first holding Ivy brings me to tears - the look of complete speachless awe on her face is magnificent. 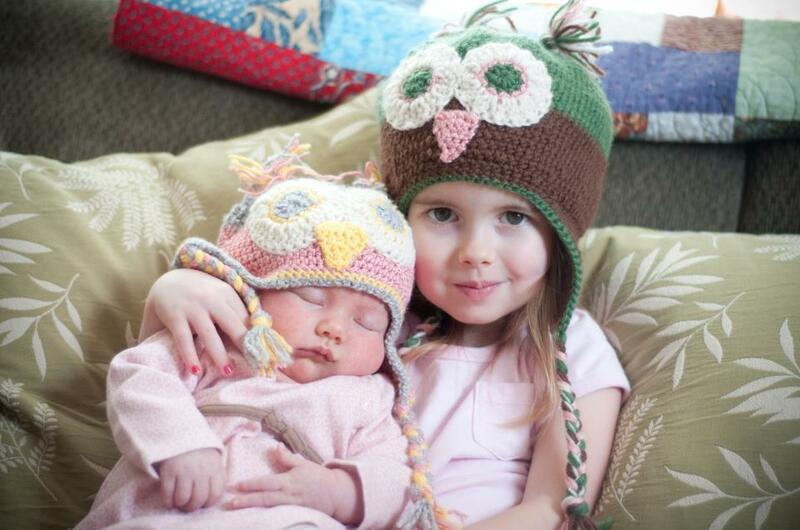 She wanted to be involved in everything having to do with her sister. She patiently sat on the bed, with her hands in her lap, and watched with fascination as Ivy was measured and weighed. She was absolutely enthralled with watching Ivy nurse and trying to help me with that. Perfection, I tell you. And, it didn't stop there. I know I have mentioned it before in other posts, but Vienne just selflessly and unconditionally loved Ivy from the moment she arrived. Crying never ever bothered her. She always wanted to help. She would sing songs to soothe Ivy...and it worked. 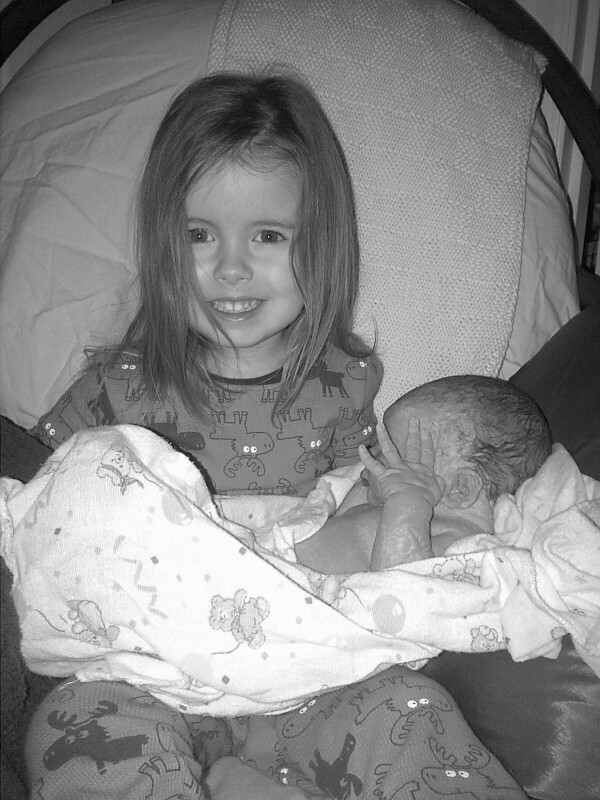 Ivy loved her big sister. 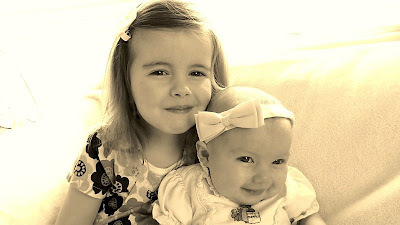 Vienne was never jealous of Ivy and all of the new attention that was given to Ivy...it was more as if she contributed to giving that attention, along with us. 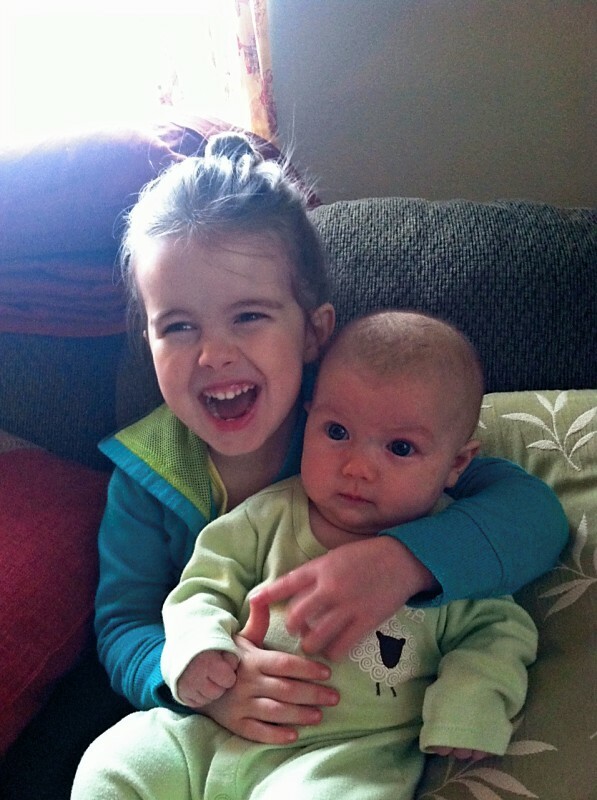 She was happy to share this doting and love with her new sister. Vienne had this deep soul wisdom, you know? Never selfish. 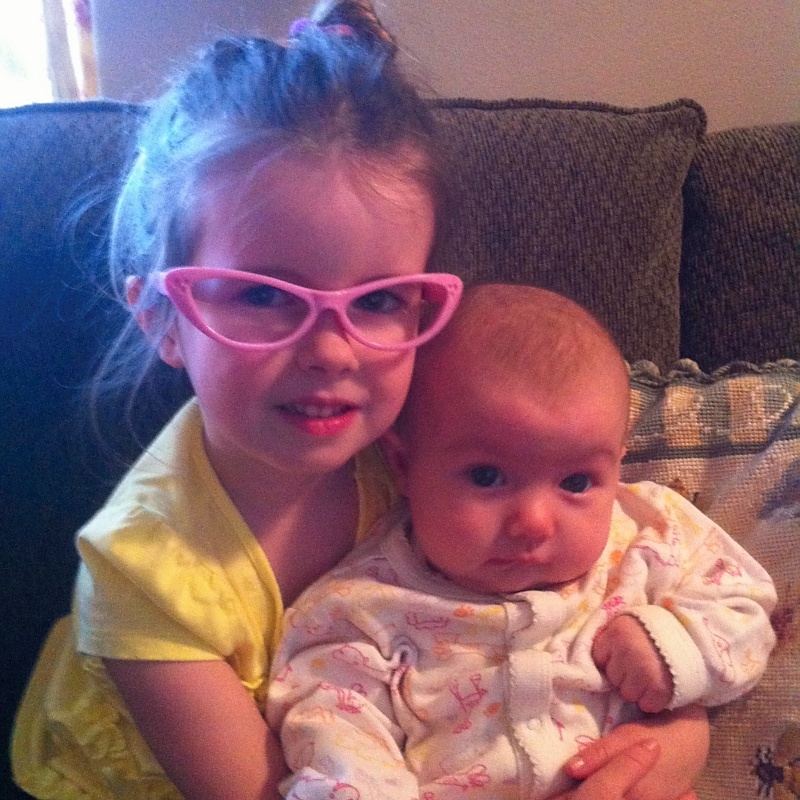 The way I know that Ivy misses her big Sister is in how she nurses, now. Ivy used to be the most distractable nurser. Vienne took precidence over nursing every time. So much so that I had to establish a rule that Vienne couldn't come in the room while Ivy was nursing. I would have to go to our room to feed her every time. If Vienne were to walk in, Mama's milk took backseat. Ivy would arch her back and twist and turn towards her sister with a big grin. She loved her voice and her presence. Ivy no longer does that anymore. No one else can distract her from nursing. I was so so excited that I had these two beautiful and precious little girls who were already so connected. Everything I ever wanted. I felt so complete. I was so happy that Ivy had Vienne to look up to, to be an example for her. I knew, beyond a shadow of a doubt, that Vienne would be a much better big sister than I ever was. So, why were my dreams shattered so heartlessly? Why did my poor Ivy have to lose her best friend?I could go on and on in my cycle of asking why. This is so sweet and precious. I can understand how special the sister bond is because I have wished for it myself and still long to give that gift to Makayla. To have been given that gift in your daughters then had it stolen away is just cruel. Jenny, I'm sobbing and sobbing for you. I am dear friends with Kinsey, and have been praying for you guys since the first moment I heard. That terrible, awful, life jarring moment. 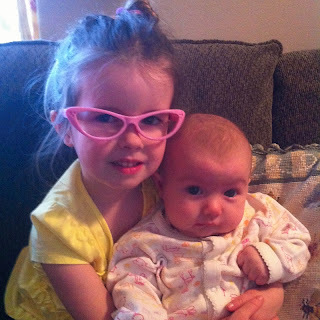 I've been barely able to look into Vienne's face in the photos Kinsey has posted, because it makes ME feel guilty! This just can not have happened, can it? Look at how vibrant and perfect and loved and full of promise she is, and how happy and trusting!? I could just see all those things in her eyes, in those pictures. It's so unreal and completely shocking. I have so so much sympathy for you and your precious bleeding mothers heart. 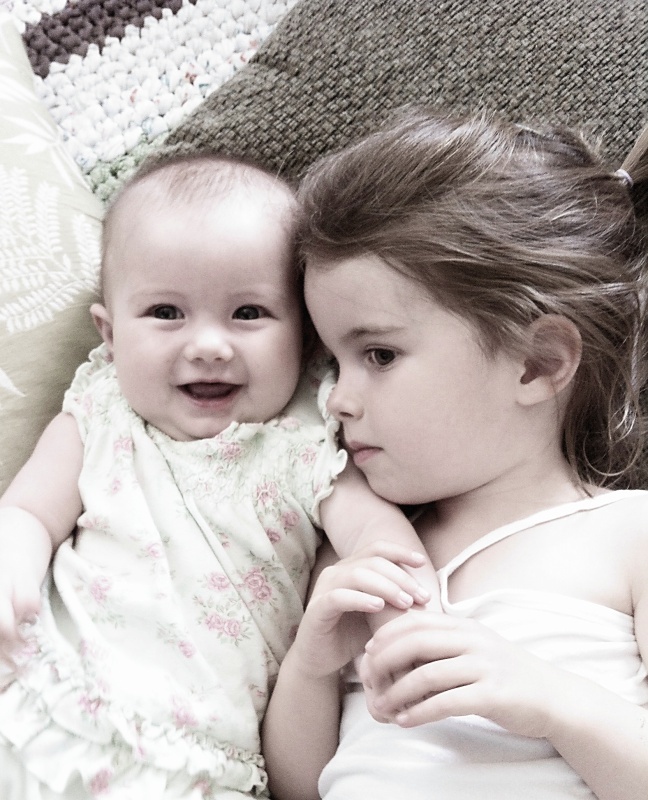 This story is so achingly close to home for me because I have two daughters myself, Paisley is 3 and Magnolia is 1. 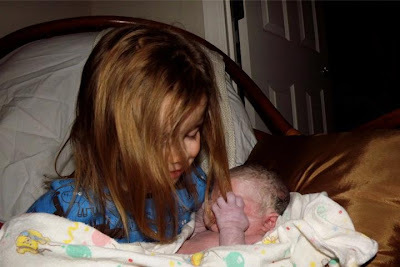 The first day after Vienne passed away, Kinsey posted the video you'd taken on your iphone just a couple days before, of Vienne dressed in a beautiful 'princess dress' as my daughter would call it, and making silly noises to make her baby sister laugh with delight! 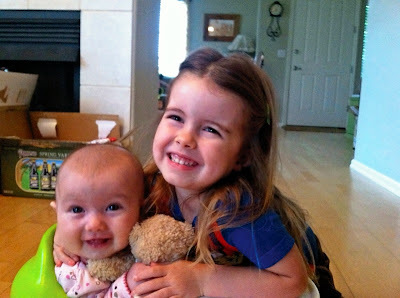 She did this over and over, with much joy, looking like she LOVED being such a great big sister, and was being gratified herself, by making her sister so happy. This video just ruined me... It's exactly what my girls do with each other all day long! The dresses, the laughing, the silly games... it's right where our life is at! The clip from her memorial video of her slow dancing like a ballerina by the window in black and white just takes my breath away. Just like my Paisley does... what angels these precious babies are, and what an undeserved blessing that mine is still here, mine to care for, for just one more day. I want to fight for you to get her back! I am enraged along with you! I can not begin to say I know how you feel, or even that i have anything helpful to say to you. I wish I did, but I know how trivial that would be. 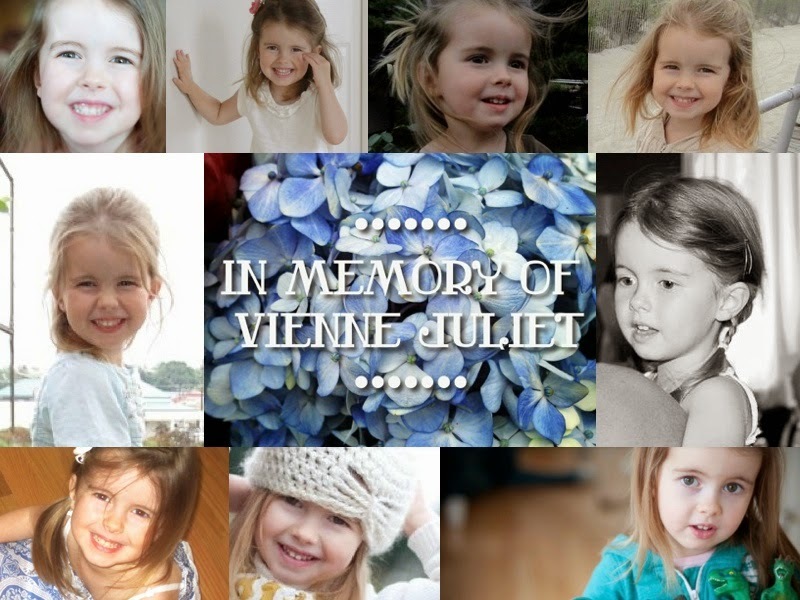 I'll just say Vienne has changed my life, and I only know the memory of her! I'm mourning with you over her sweet short life. I think of her often, and am praying for you guys a lot. For comfort, for support, for beautiful memories, for perseverance... Kinsey shared the link to this blog with me a while ago, and just reading your intro bowled me over. My heart just feels so raw over this story. Over your pain and loss, and her perfect life. It just doesn't add up. I cannot even begin to say anything about the Lord's reasons or purpose, except that I believe his heart is breaking for you guys, and he's weeping so hard along with everyone that loved her and misses her. And I know he's so glad he's got her back. : ) Tears are just rolling down my face, splashing on my desk. I wish my sadness could do something to help you, or that it mattered for something constructive. Instead, just know that people you've never met before, even up in Duvall WA! are aching with you, enjoying memories of her with you, praying for you, Mark and Ivy, and thinking of your precious lovely baby girl often.